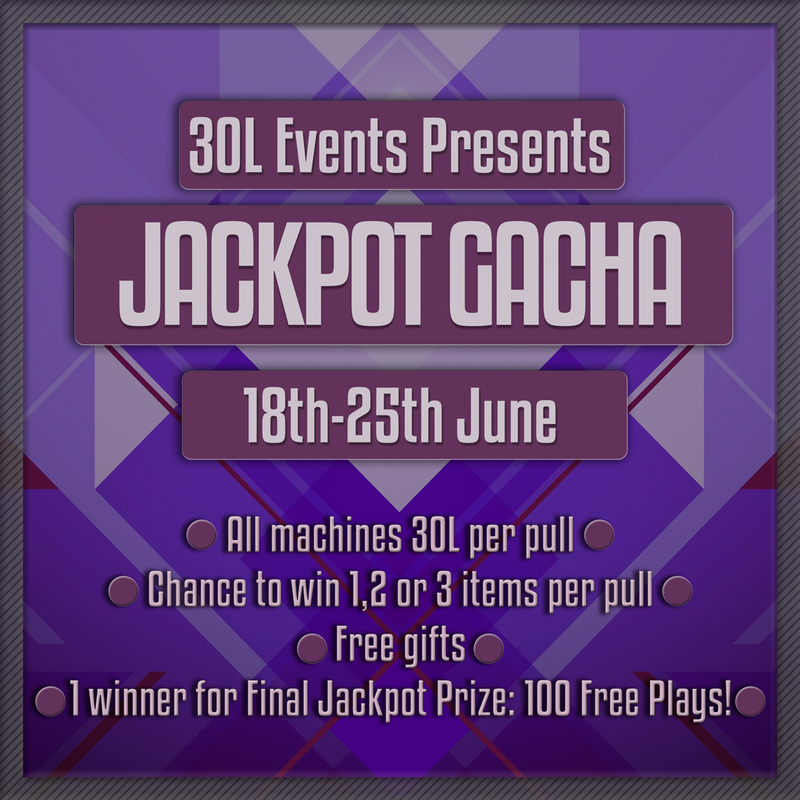 We are excited to announce the third edition of a brand new gacha event, the Jackpot Gacha Fair. Why is it new? Because we will have a gacha with 3 bonus levels: 1, 2 or 3 free pulls that will be randomly assigned by the script while customers play a gacha at the fair. So for example a customer will play XY Machine xy times and they will win a bonus, that can be 1 or 2 or 3 free pulls. 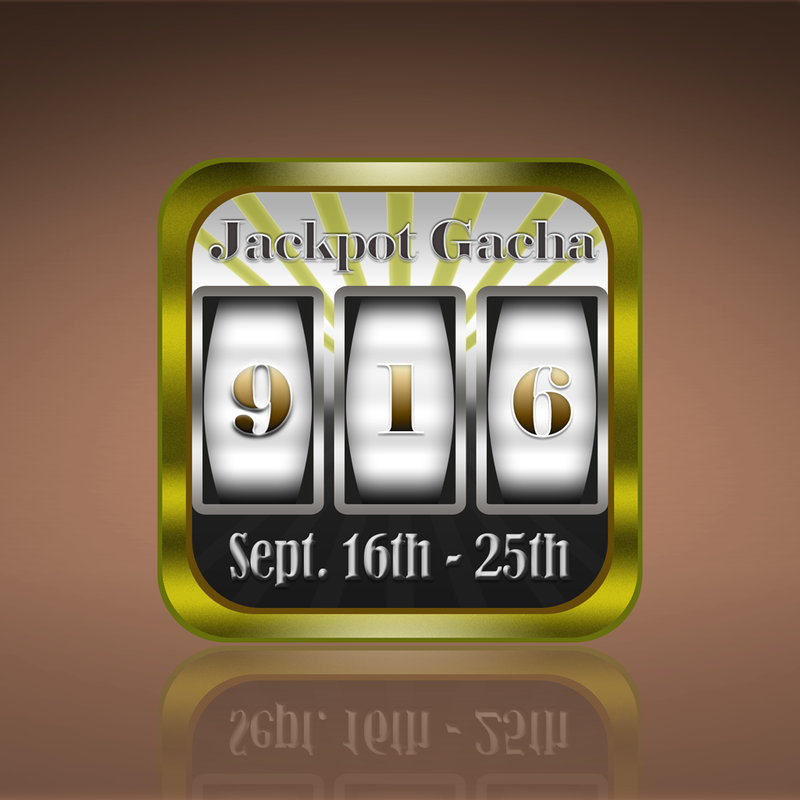 The bonus is totally random and it merely depends on luck, as it happens with slot machines. We’ll also assign a Gacha Jackpot of 100 free pulls to use at the fair and a huge sign in the sim will show the name of the winner – the script will assign the Jackpot and the more customers play the better their chances to win the Jackpot! 1. We will have a gacha with 3 bonus levels: 1, 2 or 3 free pulls that will be randomly assigned by the script while customers play a gacha at the fair. So for example a customer will play XY Machine xy times and they will win a bonus, that can be 1 or 2 or 3 free pulls. 2. We’ll also assign a Gacha Jackpot of 100 free pulls to use at the fair and a huge sign in the sim will show the name of the winner – the script will assign the Jackpot in a totally random way! Again, it’s just a matter of luck. 3. We will have MAX 60 stalls and only 1 gacha per merchant. 4. Please try to set up at least two days before the event starts, since we’ll allow bloggers early access the day before. 5. Every participant must rez a small gift and we’ll provide the box for it (it doesn’t have to be a NEW thing). 6. You can use your own gacha machine, but we will give you the special gacha script. The script will handle common, rare and ultrarare items, but if you wish you can have only common and rare items. 7. Gacha price per pull is 30L. 8. After the event you can put the gacha machine at your store and the items must be sold in the form of gacha items at least for SIX MONTHS. After 6 months, if you wish so you can unbundle your gacha items and sell them as regular items. We allow this because with so many gacha events going on some merchants have more gacha machines than regular vendors at their stores and anyway people are willing to play gacha machines to get a specific item 6 months earlier than other people. 9. Bloggers: we will have bloggers covering the event but sending them items is NOT mandatory, although we recommend it to help promotion. Blogger items will be sent via a blogging device. 10. Decor: Not allowed. Our main focus is keeping the sim as lag free as possible. Customers prefer taking time to load your vendors rather than your pretty grass and branches.